This week, I added an antique print to my collection. It comes from a publication called ‘The Building News’. It was printed and published on November 27th, 1868. One does not usually think of architectural drawings as art now-a-days, but then today so many are done by computer and not by hand. In years gone by drawings were done by hand and rule, compass and protractor, or even by eye. 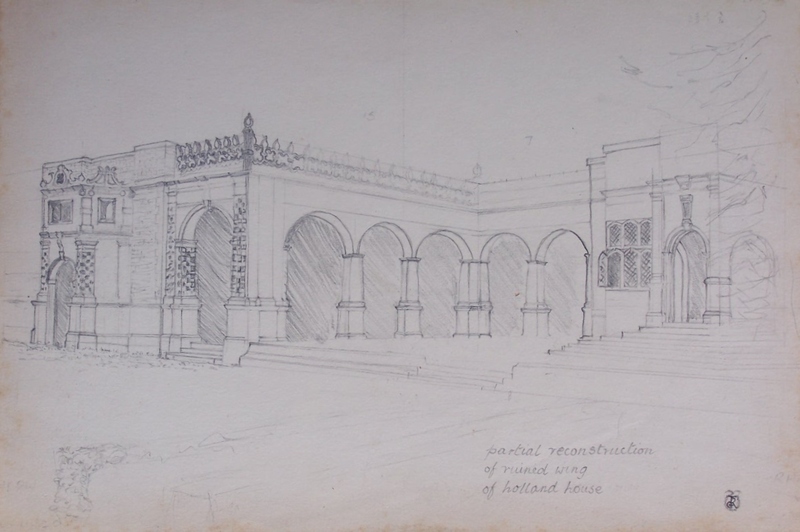 This lovely print was drawn by the well known architect #GeorgeEdmundStreet. He lived from 1824 to 1881. George Street was a leading figure of the Victorian Gothic revival in architecture. He was mainly an ecclesiastical architect but is perhaps best known as the designer of the Royal Courts of Justice, in the Strand in London ( It has been suggested that there were 3,000 drawings for the Law Courts ready when Street died). After his studies, he had placements in Winchester and London to learn his craft. He set up his own business in 1849 working mostly in church restorations. He was appointed architect to the dioceses of Oxford, Ripon, Winchester, and York, as well as York Minster, Salisbury and Carlisle cathedrals at different points in his life. Well known in the history of architects, Street’s students include some very renowned architects like Philip Webb, Canadian architect Frank Darling, and the renowned William Morris. His large works include the nave of Bristol Cathedral and the restoration of Christ Church Cathedral, Dublin. Chief amongst his complete works include #StMargaret’sConvent, East Grinstead, and the theological college at Cuddesdon. From the very detailed drawing of St Margaret’s by Street to a simpler but still accurately detailed drawing by AJM de Routons. This is #HollandHouse in London. Built in 1605 and originally called Cope Castle for its’ owner Sir Walter Cope. It transferred through several families and then on Sept. 27th, 1940, the house was largely destroyed by German firebombing during the Blitz, and today only the east wing and some ruins of the ground floor still remain. Today, the remains of Holland House form a backdrop for the open air Holland Park Theatre, the “London Holland Park” youth hostel is now located in the house. The Orangery is now an exhibition/function space, with the adjoining Summer Ballroom, The Belvedere, now a restaurant. The former ice house is now a gallery space while the grounds provide sporting facilities. Two images which show the art of architectural drawing. Detailed, accurate and still artistic. Items that could very easily hang on a wall. 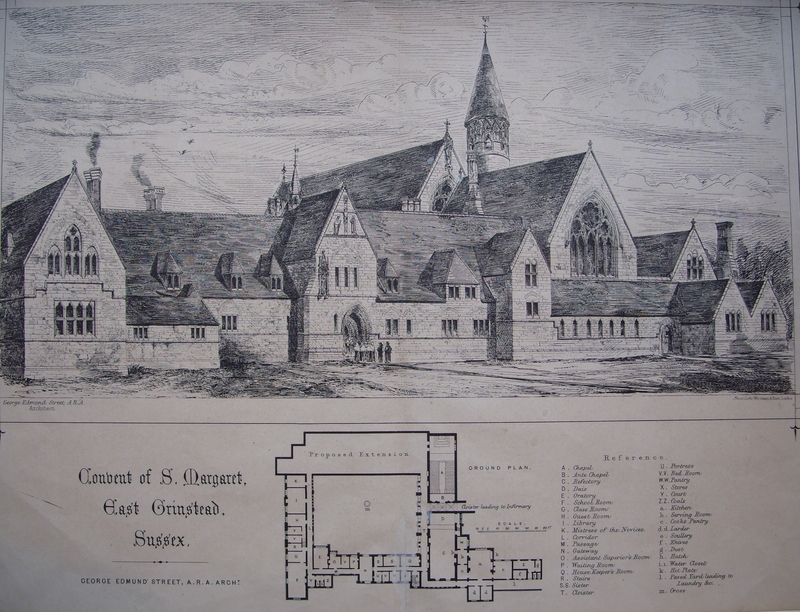 This entry was posted in Drawings and Sketches, Modern prints and tagged chapel, cloisters, Cope Castle, East Grinstead, George Edmund Street, ground plan, Holland House, nuns, St Margaret's Convent. Bookmark the permalink.